Jose Gutierrez is pictured with his family, Easter 2014, prior to his weight loss. He is pictured with his wife Stephanie holding daughter, Eva. Standing in front is son, Dominick. Those needing a bit of inspiration won’t have to look far. 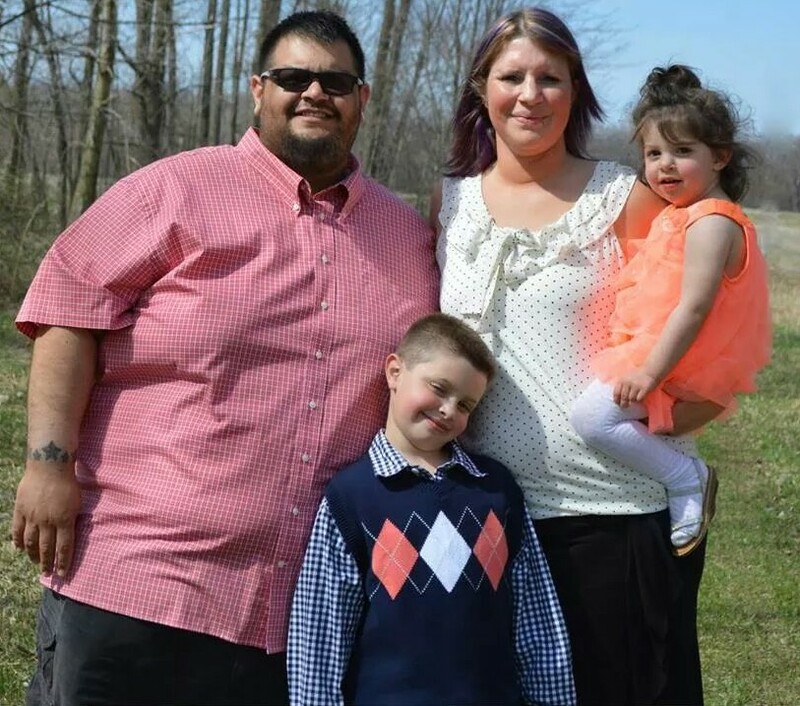 During the past 18 months, Warsaw native Jose Gutierrez has transformed his body from 515 pounds; losing 120 pounds and dropping seven pant sizes by changing his diet and incorporating exercise into his routine. Dedication and change is necessary, Gutierrez noted. While the orthopedic machinist isn’t a health professional, he does understand the battle many face when it comes to weight loss. Determined to get in shape, he began by first consulting his physician. Just like other appointments, his doctor advised Gutierrez he needed to lose weight for his own well being. It was then Gutierrez shared with his doctor he planned to join a gym. Encouraged by the news, the doctor challenged him to lose 50 pounds before his next visit. Dismissing thoughts of quitting, Gutierrez kept pressing on with noticeable results, he informed, “I went back three months later, 55 pounds lighter and just blew (the doctor) away,” laughed Gutierrez. Continuing with regular checkups, he could see the hard work and sweat pay off as the pounds began to fall. His determination motivates him to keep working toward his goal weight of 250 pounds. “I still try to challenge myself everyday,” reported Gutierrez. 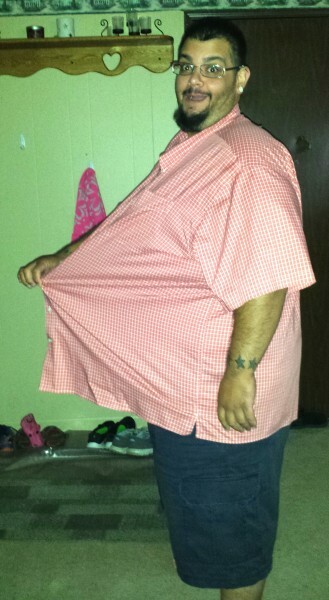 Wearing the same shirt he is pictured in one year earlier, Jose Gutierrez enthusiastically compares the difference in his size by holding the shirt that is too big Easter 2015.